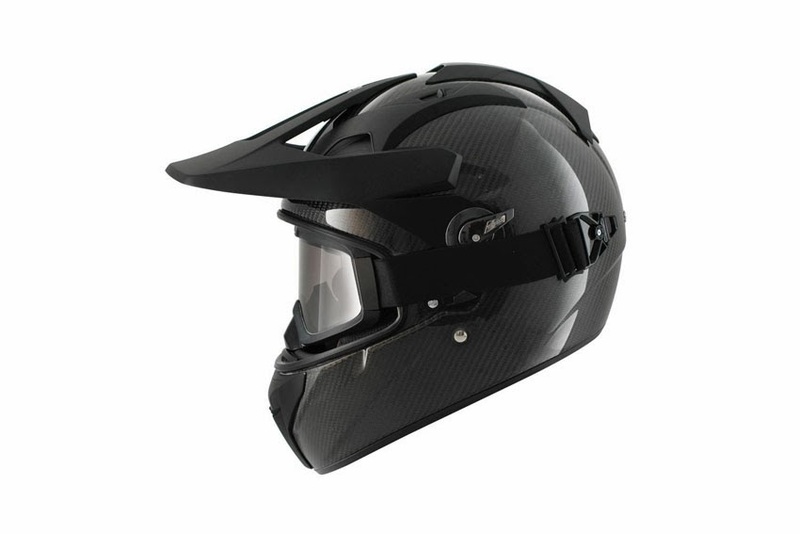 Shark Helmets will be showcasing its new 2014 collection at Motorcycle Live, at The NEC, Birmingham from November 23 to December 1, 2013. The new collection features three brand new helmets and a host of new colours on existing models. is a brand new concept for Shark and offers both full-face and off-road helmet functionalities. It has a removable visor, peak and goggles and can be altered to the style of riding. When the visor is fitted it has the same panoramic visor as the Vision-R helmet. The Explore-R has Shark's new 'carbon skin' technology, which is a composite structure combining carbon and aramid. Helmets from the carbon skin range have a 'second skin' that gives extra protection for higher performance and improved shock absorption. The carbon is fully visible on the helmet giving a unique design finish. The lining is made from natural bamboo fibre that is hypoallergenic, antibacterial and offers good perspiration absorption. The Explore-R will be available in dealers from January 2014 and price at £319.99. The Vantime is Shark's first full-face urban helmet designed for riders who seek protection and urban styling. It has a VZ140 'long trip' visor with air inlets allowing greater surface demisting. The lining is natural bamboo fibre for comfort and hygiene; it has an internal sunvisor and a pocket for SharkTooth. The Vantine will be available in dealers from January 2014 and priced from £169.99. Shark's third new helmet is the cafe racer-inspired Heritage. An open-face helmet, the Heritage is made from the latest generation composite fibre and has a natural bamboo fibre interior, as well as Shark's 'easy fit' system for glasses wearers. The Heritage will be available from December and priced from £199.99.